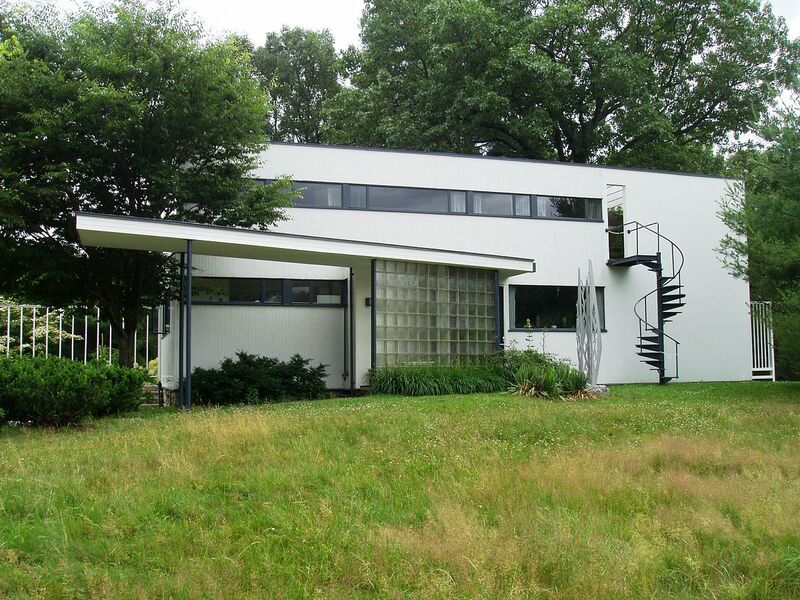 Norwich’s story of modern architecture begins with three pioneers of modern design: Walter Curt Behrendt, Walter Gropius, and Frank Lloyd Wright. Walter Curt Behrendt was a German architect and authority on modern city planning and housing. In 1925-1926 he edited the journal Die Form and led a campaign in support of modern architecture. In 1934, as Germany became too dangerous for people of a Jewish heritage, Behrendt’s friend and colleague Lewis Mumford secured him a lectureship at Dartmouth in the Department of City Planning and Housing. Walter Gropius arrived at the Harvard Graduate School of Design in 1937 after escaping Nazi Germany, where he had founded the Bauhaus in 1919. A school of fine art, design, and architectural education, the Bauhaus aesthetic was a stark departure from the Colonial and Victorian architecture that most Americans knew. The style emphasized new materials and construction techniques without reference to historical styles. Gropius transformed the Harvard Graduate School of Design curriculum and his students, Edgar and Margaret Hunter, carried these new ideas to Norwich. In America, Frank Lloyd Wright had created a philosophy of organic architecture with simplified shapes driven by open living concepts. He established workshops at Taliesin (Wisconsin) and Taliesin West (Arizona), where he trained many young architects. His first project in New England, a house built in 1950 for Isadore and Lucille Zimmerman in Manchester, NH, is what Wright termed a “Usonian” design: compact, affordable, and open to the landscape. 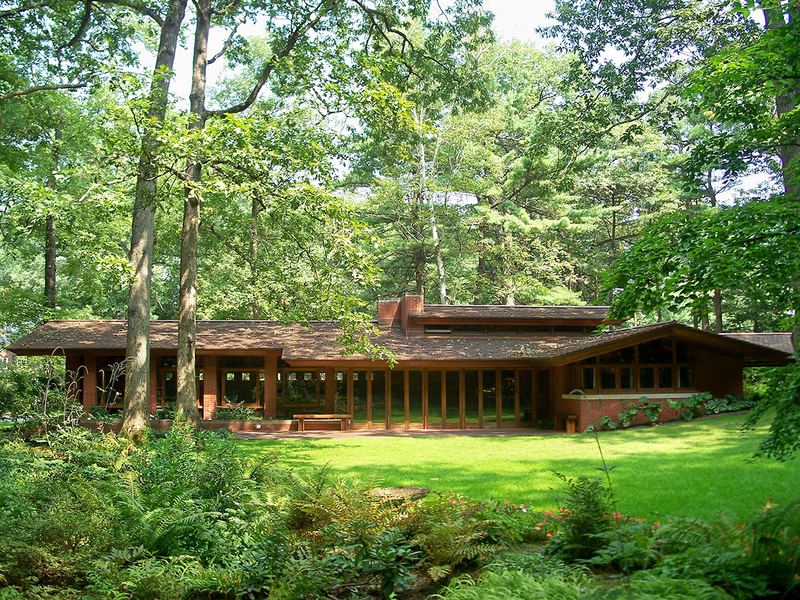 It was Lucille Zimmerman who connected Frank Lloyd Wright’s apprentice, Allan Gelbin, to Norwich. Next: What is Modern Design?